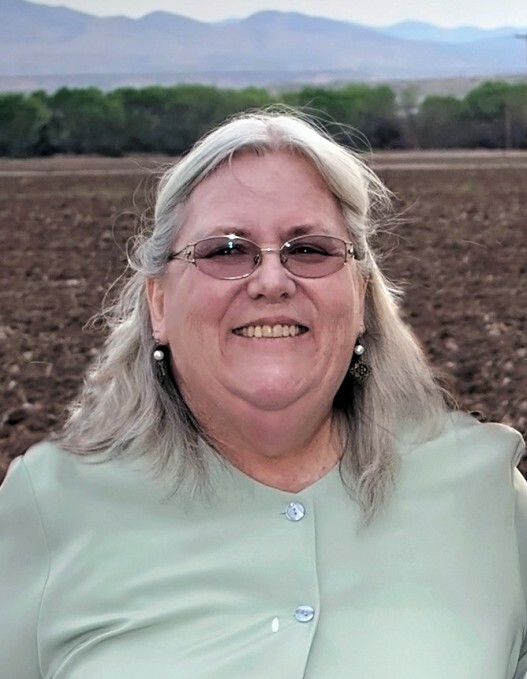 Nancy Reta Williams of Safford entered into eternal rest on April 4, 2019 after fighting a long battle with breast cancer. She was born March 31, 1956 in Oxnard, California to Herbert Randel & Edith Angle Higgins with her siblings Jay Higgins Jr., Carla Higgins, Larry Randel and John Randel. The family moved to Safford where the children attended school. Nancy graduated from Safford High School and then went on to Ricks College in Idaho. She is a member of The Church of Jesus Christ of Latter-day Saints. Nancy married Arlo Williams in the Mesa Arizona Temple and returned to the Gila Valley to make their home. They were blessed with six children; Katherine, Aaron, Amanda, Nathan, Karen and Kalynn. Nancy loved baking, collecting cookbooks, sewing, doing crafts and collecting bells. Nancy is survived by her loving husband, Arlo Williams, her children Katerine Miller, Aaron Williams, Amanda McClellan, Nathan Williams, and Kalynn Artman, her siblings Jay Higgins, Jr., Carla LeBaron and John Randel and nine grandchildren. She was preceded in death by her parents Jay Higgins, Sr. and Edith Higgins, her brother Larry Randel and her daughter Karen Williams. A viewing for Nancy will be held on Friday evening, April 12, 2019 from 5:30 until 7:30 p.m. at the McDougal's Caldwell Funeral Chapel. Services for Nancy will be held on Saturday, April 13th beginning with a viewing at 9:00 a.m. followed by the funeral service at 10:00 a.m. at The Church of Jesus Christ of Latter-day Saints, 20th Street Chapel with Bishop Floyd Nuttall officiating. Interment will be in the Hubbard Cemetery following services. Nancy Reta Randel’s adventure on this earthly life began on Saturday, March 31, 1956, in Oxnard California where she was born. As the poem states Nancy always worked hard for a living. Now is the time to remember and celebrate the life of Nancy Williams and what she meant to all of us. For those whose don’t know me, my name is Lottie Hom. Nancy and I have been best of friends for over 30 years. We met in Morenci as young mothers and neighbors. We formed and unbreakable bond of friendship and love for one another. Her proud parents were Herbert Randel and Edith Angel. They were both school teachers in that community. Unfortunately when Nancy was 2 years old, Herbert and Edith decided to go their separate ways. This is when Edith and Nancy moved back to the Safford Valley, to be be closer to family. Edith’s parents, Zereta and Andrew Angel were anxious and excited for their beautiful daughter and granddaughter to return home to them. Not long after coming home, Edith met Jay Higgins. They dated for a while. Edith decided to give love one more try and said yes to Jay when he popped the question. In January of 1960, Jay adopted Nancy and she was sealed to her parents in the Mesa Temple. Nancy had formed a strong bond with her grandmother Angle and spent every spare minute she could with her. She learned the love of cooking and the art of being a homemaker from her beloved grandmother Angle. She also spent time at Angle Orchard that she loved so dearly. As a youth she also enjoyed being with her uncle Eldon and his daughters. They played and ran a muck as cousins enjoy doing. She often told me of these beloved times. Brenda was one of the cousins, the oldest and Nancy’s age. Brenda said: Nancy always had good horse sense and a boat load of wisdom. Nancy’s life seemed so much harder than hers, but she was never jealous or judgmental. Brenda remembers spending the night with Nancy and couldn’t believe what a heavy load she carried, with all the challenges her family had. Nancy was such a hard worker and always lifted her up when she was down. Before she knew It, Nancy was a big sister to Jay and Carla. She helped to take care of them on days when her mother was not well. As a big sister, she delighted in bossing them around, as was her birthright and duty. Nancy enjoyed helping her parents on Sunday after church to prepare Sunday dinner. Often she would prepare meals on her own. She loved to surprise them with her culinary experiments. Jay rememberers one such Sunday dinner. Nancy decided to experiment with the pressure cooker and some unknown, strange beef product. While she was preparing side dishes for dinner, Jay kept bugging her about what the strange meat was. She looked at him with a naughty grin and twinkle in her eyes and said, I’ll let you taste It first to make sure it’s not poison. Jays, eyes grew large and he stammered, okay I guess so…… soon her feast was complete and with a devilish grin on Nancy’s face and a meek, worried young Jay, she handed him a fork with a piece of strangeness for him to taste. Fortunately Jay lived to tell about it and even liked it. This strange meat was a beef heart. Nancy loved her brother and sister and was a positive influence for them. She encouraged them to be the best they could be and loved them in spite of themselves. Jay and Carla always looked up to their big sister for help and guidance when they felt blue and needed their spirits lifted up. When in high school, Jay would ask Nancy for advice when it came to the girls he dated. Jay always valued her opinion and wanted her approval of his choices. While she was In high school, Nancy worked at Serve-A-Burger and Dairy Queen. Nancy discovered her ability to love and care for those less fortunate than her, when she worked at the Dan Hinton School. 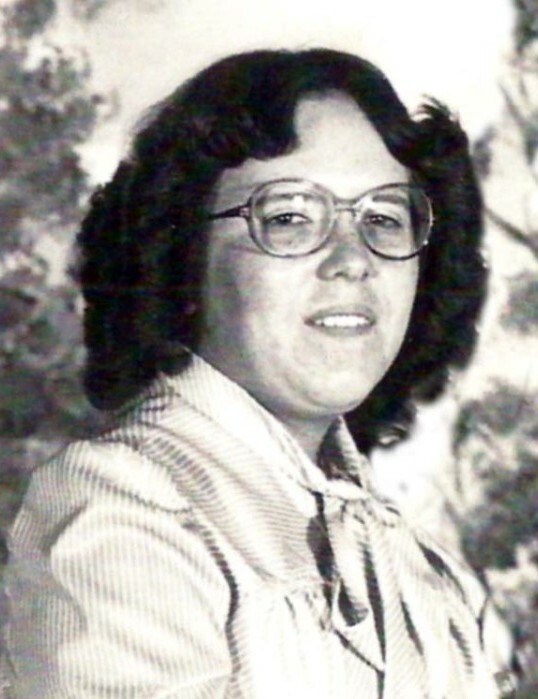 She was a good student and graduated from Safford High School In 1974. Nancy’s father won a trip to Hawaii in that same year. So her mother and father, as a graduation present, took her with them on the trip. That trip was the hi light of her life for many years. Nancy and her mother talked about and recanted stories from the trip to Jay and Carla often. After graduation, Nancy decided to go to Rexburg Idaho and attend, then, Rick’s College. She spent 2 years there and majored in education like her mother. In 1978 a young and handsome returned missionary, Arlo Williams, came Into Nancy life. Nancy told me that she knew Arlo was the one on their first date. They dated for a short time and soon fell in love. On April 15, 1978, they were sealed in the Mesa Temple for time and all eternity. This was the beginning of a new chapter in her life’s adventures. In what seemed like a twinkling of an eye, Nancy and Arlo were blessed with 6 beautiful children. Katerine, Aaron, Amanda, Nathan, Karen last but not least KaLynn. It didn’t take long for them to realize what a blessing a family is along with the challenges family life brings. Nancy and Arlo have moved a few times during the years. From Safford, to Duncan, to Mesa, to Animas New Mexico, to Clifton, to Morenci and their last home in Safford. In 1988 they were finally ready and able to obtain the all American nightmare, home ownership. They were excited to raise their children In one home and stay put for a change. During Nancy’s life she has had to over come many challenges and obstacles. She always knew that she was not a lone during these not so good times. Nancy knew that she had a loving husband, family and friends. But above all she knew that she had a loving Father in Heaven that would always be with her and to help her through the bad times in a way no none else could. On one of these dark times was in may of 2005. When her three daughters and oldest granddaughter were Involved in a horrible accident. This is when she lost her beloved daughter, Karen. Some things we never overcome as a mother and parent, that is the loss of a child, no matter how old they are. The whole family has struggled to make sense of this tragedy. They still have difficult days on occasion. Nancy’s faith and conviction in our Heavenly Fathers love for her never wavered. She knew that the day would come when she would be reunited with Karen. Some time in the late 1990’s, Nancy was reunited with her biological father, Herbert Randel. She learned from him about 2 half brothers and was anxious to get acquainted with them. She quickly learned to love them. She enjoyed catching up with them and hearing all about their lives that she had missed out on. As the kids grew up and moved out, Nancy worked outside of her home. She worked at the Arc Thrift Store and The Blake Foundation. Nancy had an undying love for those with mental and developmental challenges. She was a fierce advocate for them and helped to accomplish much in their behalf. In return, they loved her. Some of Amanda’s best adult memories are working with her mother and gleaning as much knowledge as she could from her. Aaron said his best memories of his mother are that she supported his decision to move to Mesa and go to college. She practically pushed him out of the house and told him he could accomplish anything he set his mind to and be successful in any endeavor he chose. When he graduated with his Bachelors Degree and had a celebration dinner, his mother was there. She beamed with pride and love for him. He knew of all the unselfish sacrifices she had made for him and all the years she put her children first and not herself. These are the memories he will cherish the most. Some of Katerine’s favorite memories with her mother were all the times Nancy sewed with her and taught her how to bake like her grandmother Angle. Katerine loved working in the garden with her and picking apples at the orchard and hearing all the stories. Nathan loved the times he was able to learn to cook and bake with his mother. He always knew when he was In big trouble. His mother would yell: Nathan Glyn Williams come here NOW!!!!! He always knew his mother loved him, even when he was in trouble. She always encouraged him to choose the right and make better decisions the next time. KaLynn always remembers not getting in trouble as much as the big kids, because She was the BABY. She loved it. KaLynn would put on the innocent look for her mom. When Nancy wasn’t looking she would smirk and stick her tongue out at them and laugh. In about 2007, Nancy was diagnosed with Uterine Cancer. After surgery and a round of Radiation, she was deemed cancer free. 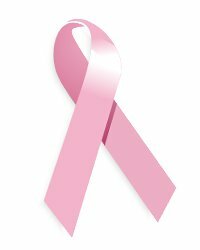 Toward the end of last year, she was diagnosed with breast cancer. She felt confident that this time she would have the same outcome. However, it was not in Heavenly Fathers plan for her to stay here with us. An Integral part of Nancy’s life was her unwavering fain in God. Her strength during times of pain, uncertainty and sorrow was remarkable. She was a fine example of devotion and humility. These are the gifts she left behind that will always be a part of the lives of her family and friends.